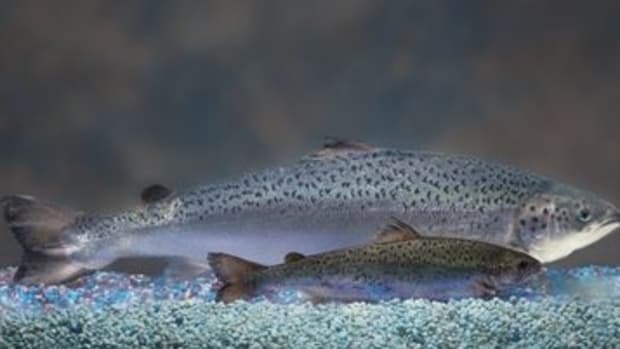 While the FDA approval of genetically engineered salmon is still pending, Kroger and Safeway—the nation&apos;s two largest grocery chains—have announced they will not be selling the GE salmon in their stores if approved. 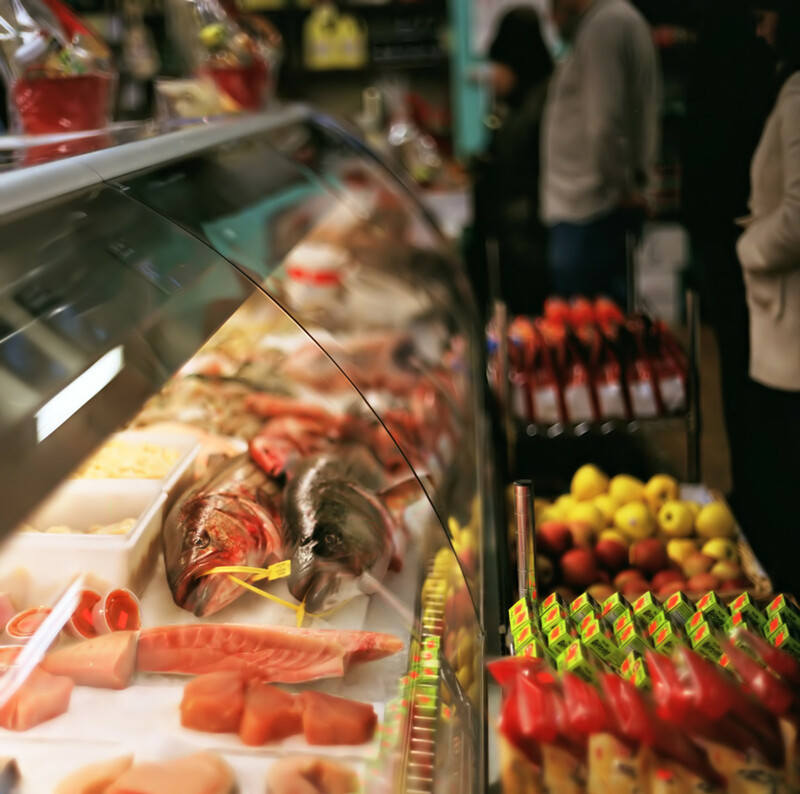 In making the announcement, Kroger and Safeway join more than sixty retailers including Whole Foods Market, Trader Joe&apos;s and Giant Eagle in taking a stand against the salmon. The Center for Food Safety is now encouraging consumers to ask Costco to take the same stance against the genetically engineered salmon. 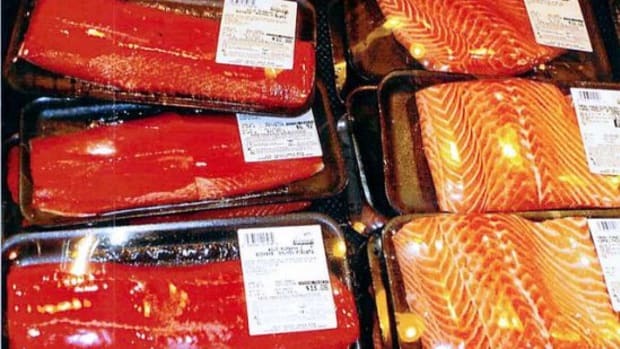 "Costco is one of the largest retailers of salmon and seafood in the U.S. and is one of the last large retailers that hasn’t made a commitment not to sell GE salmon," reports CFS. 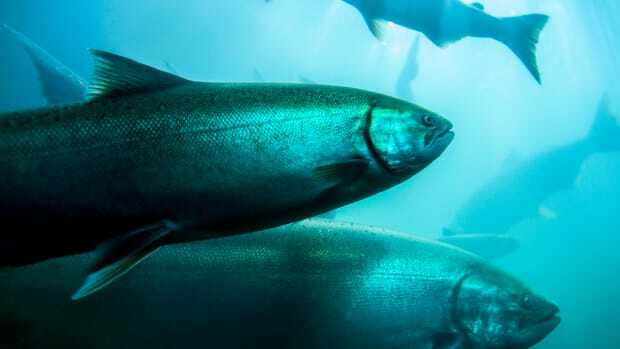 "The FDA is reviewing GE salmon for commercial production, and if the agency approves this risky fish it has indicated it would not likely require GE salmon to be labeled." 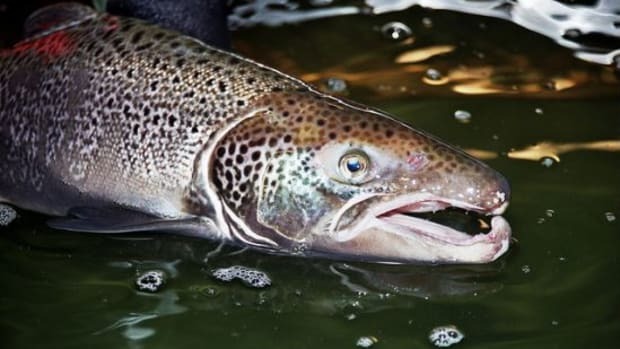 Genetically modified ingredients are estimated to be in eighty percent of processed foods sold in supermarkets, but Aqua Bounty&apos;s AquAdvantage salmon would be the first genetically engineered animal product in the food chain. 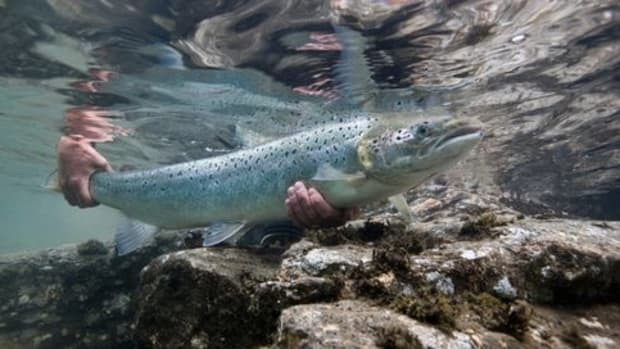 It contains the DNA of other species in order to make it grow twice as big as regular salmon in less time. "The FDA’s final decision on the fish has been expected for a long time," reports the Los Angeles Times, "and there is speculation that the agency has been holding off mainly because it knows that the public is inclined to look suspiciously on the new product." 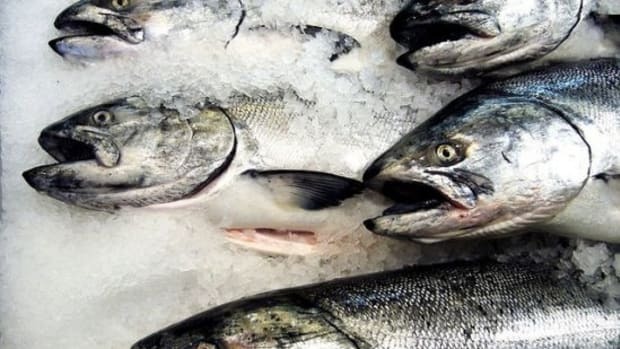 Although the official FDA decision hasn&apos;t been announced yet, approval is likely since the agency has already declared the salmon safe to eat. 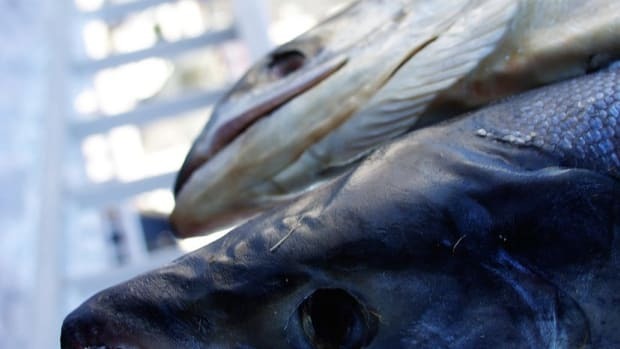 The agency also says the fish are unlikely to pose environmental risks—a major concern from environmental groups that fear irreversible damage to ecosystems and species if any of the fish were to wind up in the oceans. Aqua Bounty says the fish would be raised in Panama&apos;s mountains, and that the fish would be sterile, and all female. "However, the pens would be right next to a river, and the technology for producing sterile fish is not perfect -- it would fail in up to 5% of the animals," reports the Times. 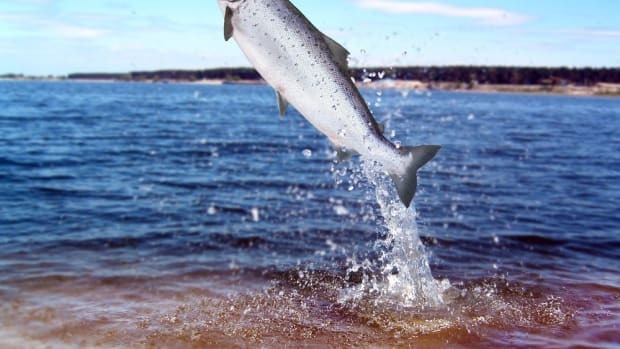 "The fear is that the genetically modified salmon could breed with wild salmon and out-compete them for resources."